A good cross sell of healthy organics with farm fresh local acquisition. 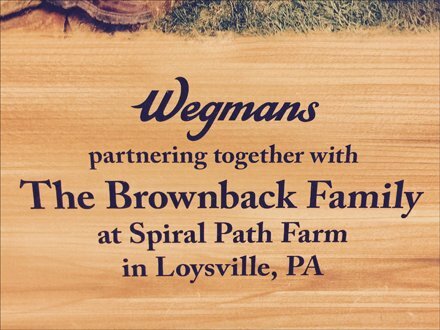 Wegmans® reputation benefits as a neighborhood business, while the farm can list the chain on their resume as being an approved, high-quality produce supplier. 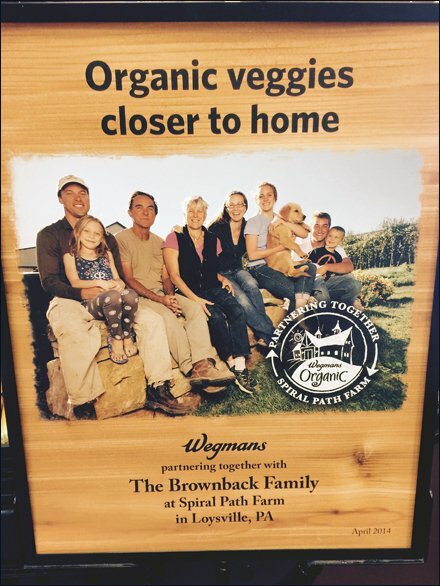 See that the family dog is included in the Brownback Family, Spiral Path Farm photo. The only heartstring left unplucked would be that of an infant in arms.